It's 10 am before I decide to look at the news. After a morning spent wrapping my head around interview preparation and weekend activities, I figured I was in a place where I could read about all that was happening in the world we live in. Scrolling through the headlines, I stopped when I came upon one that included "Michelle Obama" and "infertility." Taking a moment to reread what I just read, I clicked on the link and suddenly found myself fighting off tears as I read about someone I considered a role model candidly talking about miscarriage, IVF and marriage struggles. All of this huge in an of itself. "I think it's the worst thing we do to each other as women, not share the truth about our bodies, how they work and how they don't work." Suddenly, something I've been putting off as I didn't feel like it was my role is something I now know I need to tackle. We live in a world where biotechnology is rapidly advancing. From gene editing (CRISPR, TALENs, ZFNs) to Next Generation Sequencing to the advent of Synthetic Biology, we're officially in an insane period where scientists are doing and discovering things that only a few years ago would have been science fiction. And yet, the general public struggles to grasp what all this means and how these advances are already impacting our daily lives. From debates about the ethics of stem cell technologies and tissue engineering to genetically editing human embryos and our crops to grasping what information we get from direct to consumer DNA testing, there's a lot of misconceptions and misunderstandings. The world of fertility treatments is especially prone to these issues. Given that fertility treatments are still treated as optional consumer products, many in the trenches struggle to understand the protocols and procedures that are considered standard throughout the world. Never mind when these new technologies are introduced by medical practitioners who have zero clue how the analysis is done or what the biology behind these protocols actually looks like. So, I've decided to start sharing that here, given that for the past 7 years teaching diverse audiences about genetics and biotechnology has been my job and is the soup I swim in. I cannot promise I'll have all the answers to every technical point, especially given that a lot of this technology is proprietary. But I can give those reading a basic understanding, arming you with enough information to understand the lingo. Because Michelle Obama is absolutely right: we need to understand our bodies, how they work and how they don't. 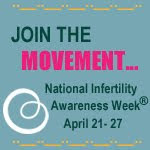 And for anyone facing an infertility diagnosis, you need to understand what is known vs what isn't, allowing you to make informed choices about your body not only while you're in the trenches, but beyond. So, first up is a brief history about DNA sequencing, an overview on Next Generation Sequencing and the current rat race that's happening in this arena. I couldn't be more pleased. Ready to learn! This sounds really interesting, Cristy -- looking forward to what you can teach us! And that one line from Mrs Obama is truly precious. And in fact, it is motivating me to write some more about menopause too.